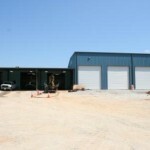 Recently, the Brad Cole Construction Company completed an addition to its shop facility in Carrollton, Georgia. This renovation has more than doubled the capacity of the building. The increase in size now enables the Brad Cole team to work on an even greater number of oversized trucks, tractors and machines. The work is now being done within a secure, efficient and safe setting in which the team prides itself on. Along with the shop expansion, the overhang addition to the pickup trucks and small machines bays will keep the team out of the elements, which is sure to make for a more pleasant work environment. 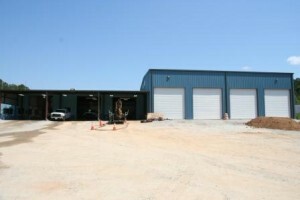 Brad Cole Construction prides itself on quality, safe and efficient work; with the supplement to the shop, these traits will continue. After all, we all need room to improve.